NEW YORK, December 5, 2018	(Newswire.com) - NPower, the free technology training nonprofit, announces a new partnership with Cisco Systems to help prepare the next generation of tech talent. Integral to this partnership, NPower will incorporate Cisco’s Networking Academy (NetAcad) curriculum across its foundational and advanced trainings, giving NPower students the opportunity to stay current with the accelerating pace of change in the field technology. The NetAcad module is designed to teach NPower’s young adult and veteran students how to use Cisco-specific in-demand tools and platforms, including network administration, computer programming, security and Packet Tracer, the cross-platform visual simulation tool designed by Cisco Systems. NPower also welcomes the expertise of Cisco Chief Information Officer Guillermo Diaz Jr. to its national board of directors. As the lead for Cisco’s global information technology, Mr. Diaz Jr. focuses on driving the business outcomes critical to the secure digital transformation of Cisco, its customers and partners. The Department of Labor projects there will be six million jobs that require tech skills by 2020 from a pool of only 3.2 million qualified tech workers. Another report from the US Equal Opportunity Employment Commission says the high tech sector has become a powerful source for economic growth, with employment in computer science and engineering growing at twice the rate of the national average. However, a shortage of qualified tech talent risks slowing this economic engine of growth. A Korn Ferry Institute study reported that while the U.S. is currently the global leader in technology, it could lose out on $162 billion worth of revenue annually unless it finds more high-tech workers. More than 80 percent of NPower students are employed full time or enrolled in continuing education within one year of graduation. By 2022, NPower plans to place more than 15,000 of its alumni in quality jobs or continuing education, which includes NPower’s expanding portfolio of advanced tech trainings. A national nonprofit, NPower offers technology skills training to military veterans, veterans’ spouses and reservists, and young adults from underserved communities. NPower envisions a future where our domestic technology workforce is diverse and clear pathways exist for all people regardless of ethnicity, gender or socioeconomic background to succeed in our digital economy. Program offerings range from basic tech competencies needed for entry-level IT employment to advanced trainings, including cybersecurity and coding. NPower’s holistic approach provides students and alumni with a range of support that includes mentoring by business leaders, paid internships, career development workshops at leading corporations, industry-recognized certifications, job placement services and access to a growing national alumni network. More than 80 percent of NPower alumni are employed or pursuing continuing education within one-year post-graduation. 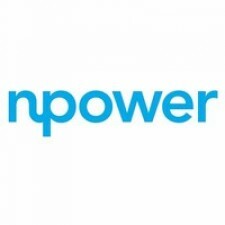 To learn more about NPower, visit www.npower.org.